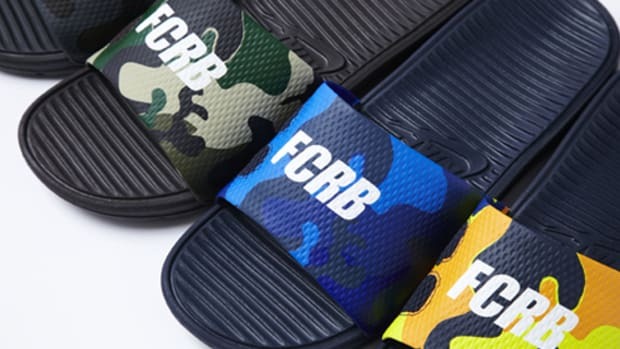 We&apos;ve seen fanciful join-venture takes on the Nike Benassi Slide, courtesy of fragment design (featuring a soft suede upper) and F.C.R.B. 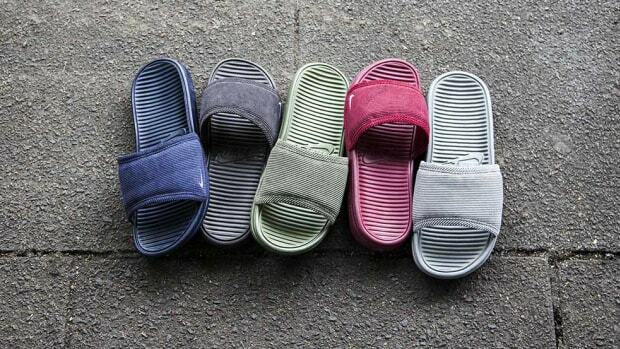 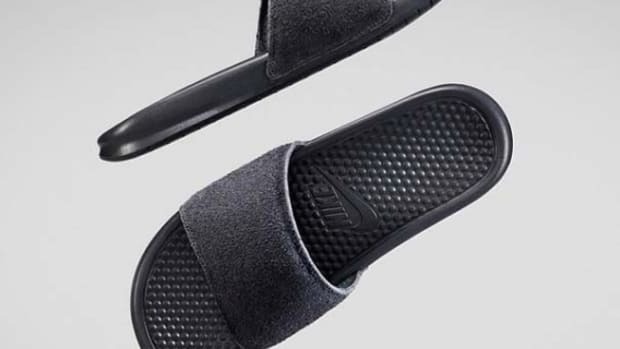 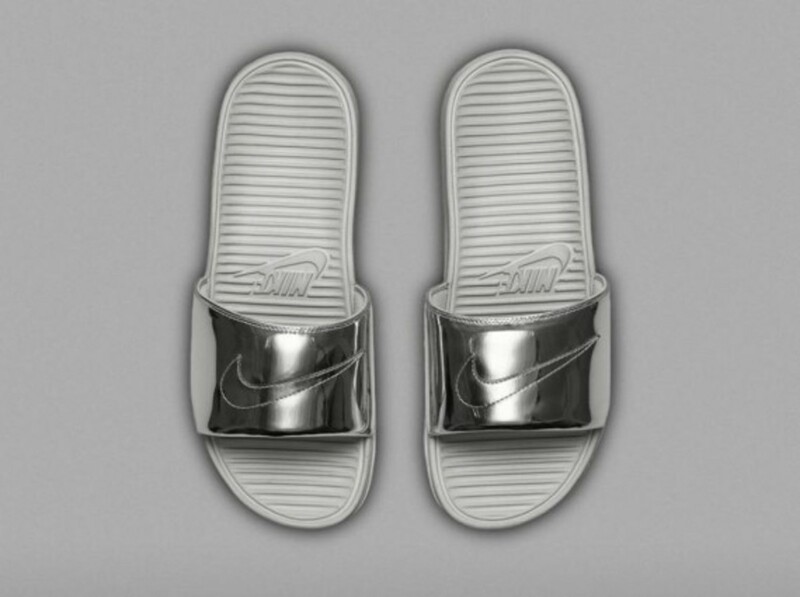 (multi-colored camo patterns), and now the design team at NikeLab gets its shine on with these two upcoming colorways of the Nike Benassi Solarsoft Slide, collected under the "Liquid Metal pack." 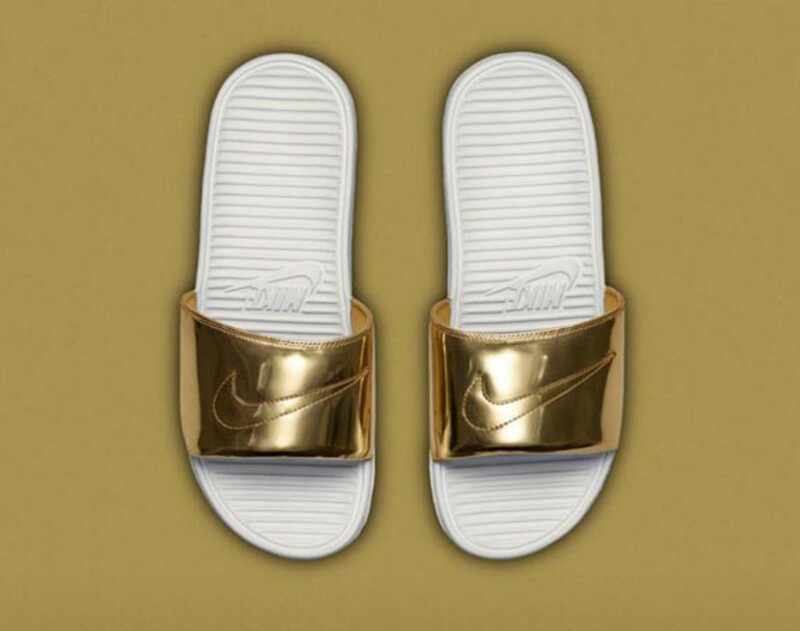 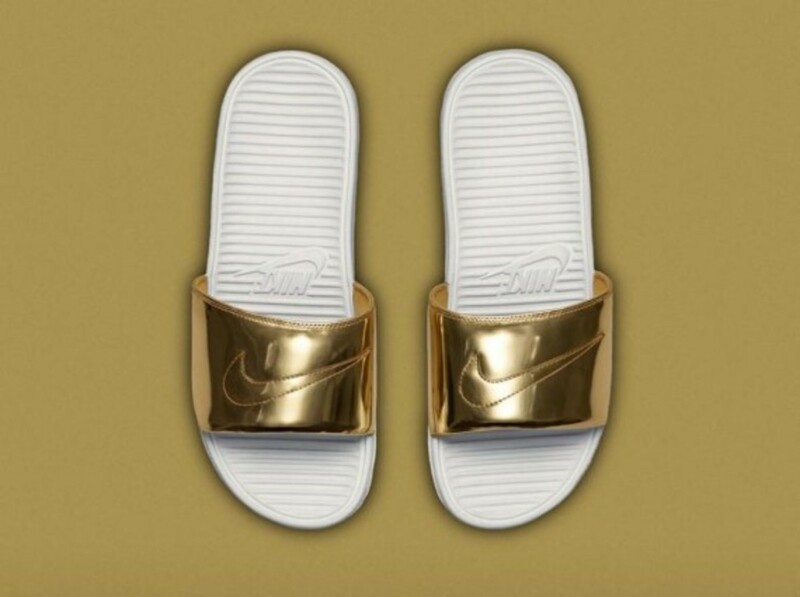 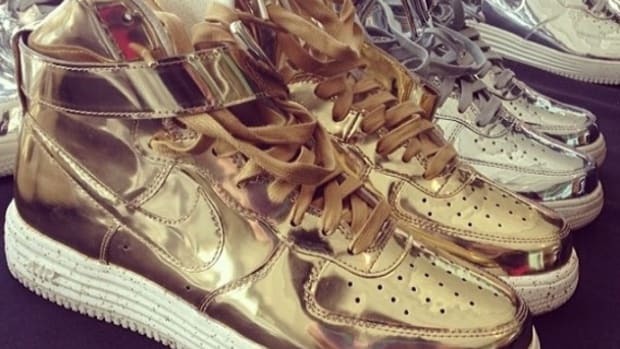 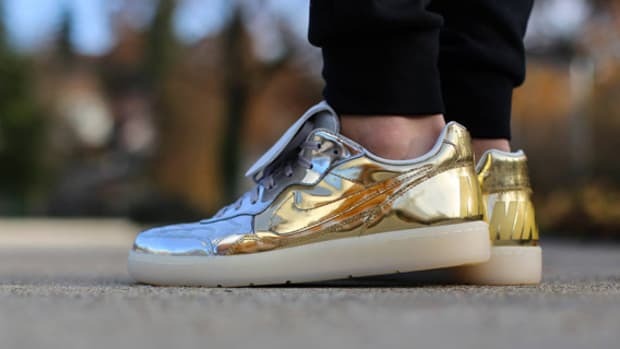 A metallic gold edition, etched with a signature Swoosh across the surface of the upper, is twinned with a silver pair to complete the pack. 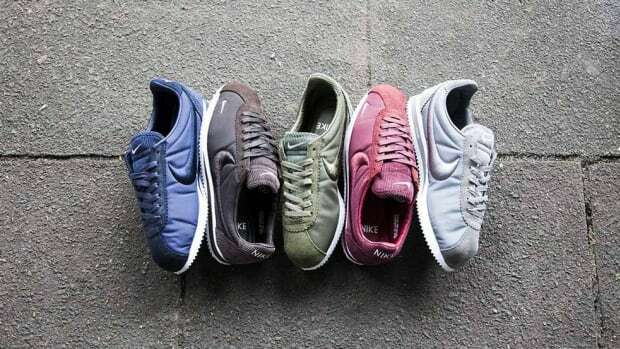 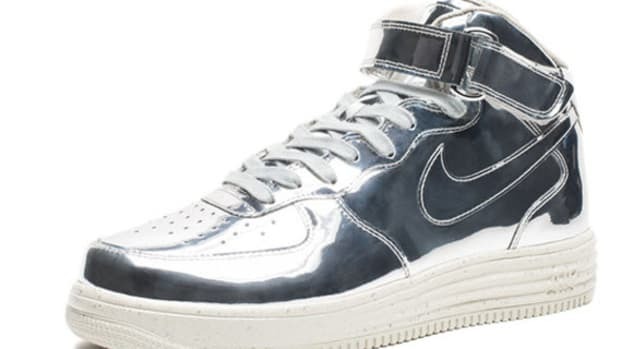 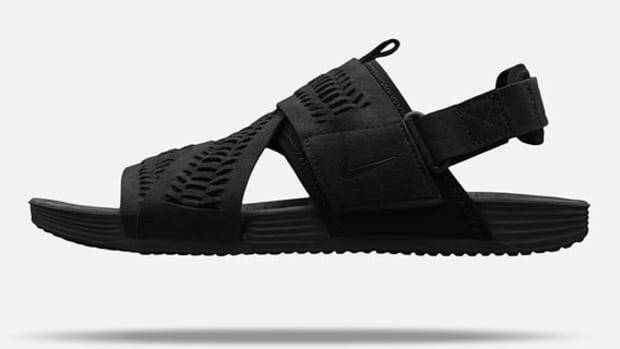 Both styles are set to launch at NikeLab locations beginning August 14th.